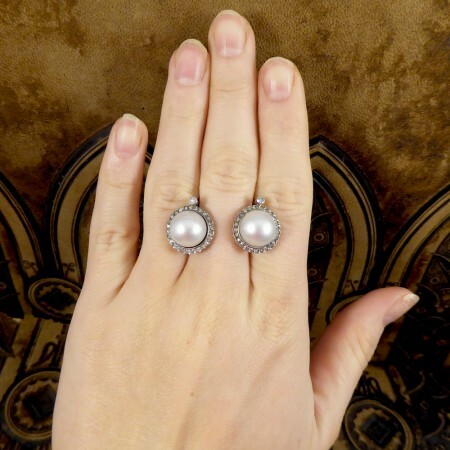 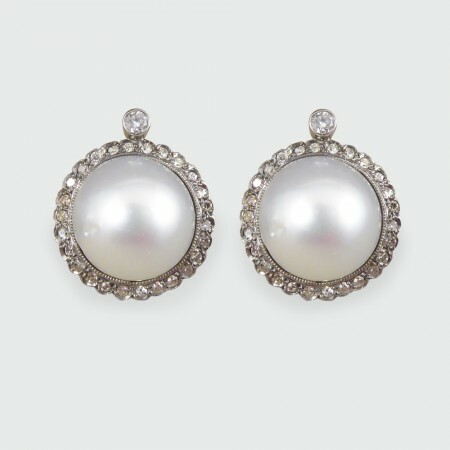 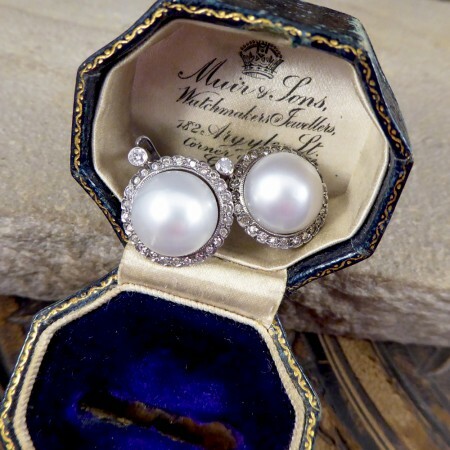 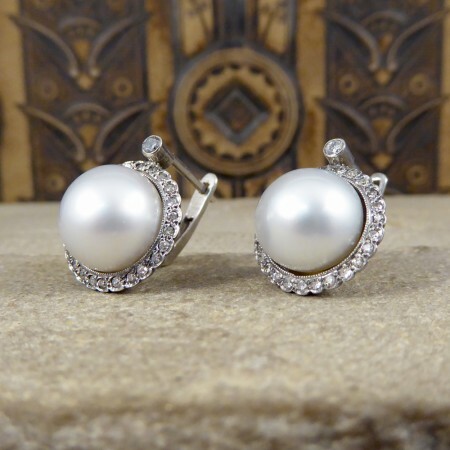 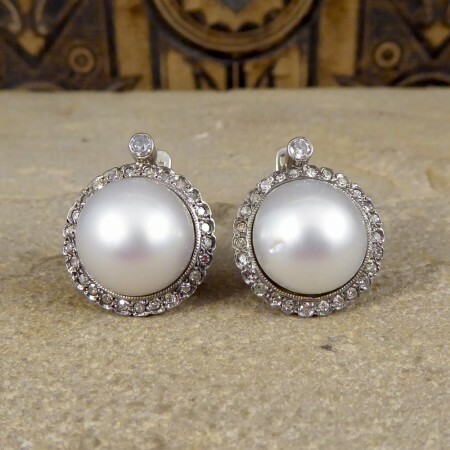 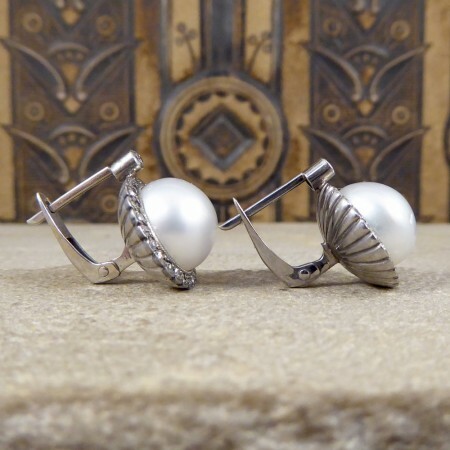 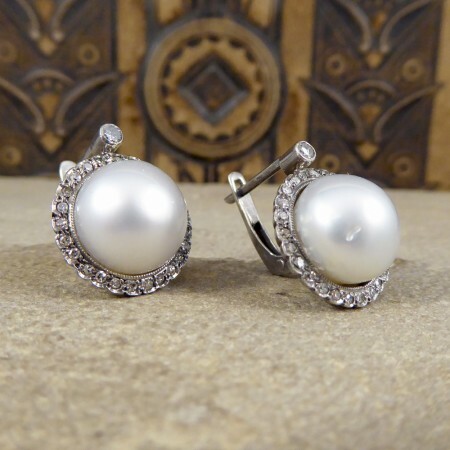 Each of these vintage earrings feature a large cultured pearl in the centre, one with a small natural impression on the side which is seen in the images. 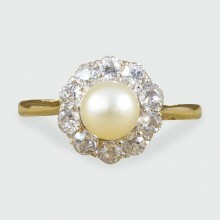 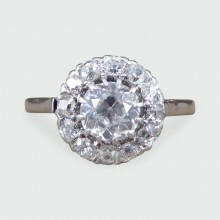 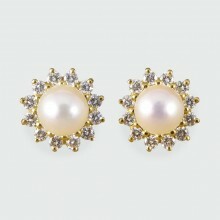 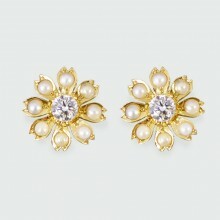 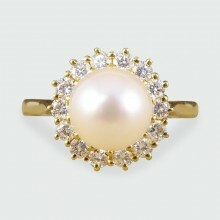 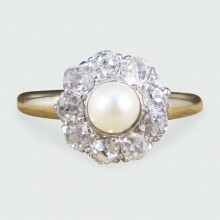 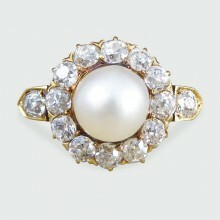 Circling the Cultured Pearl is a halo of small Diamonds with a 3pt Diamond on the top, all set in a domed closed back. 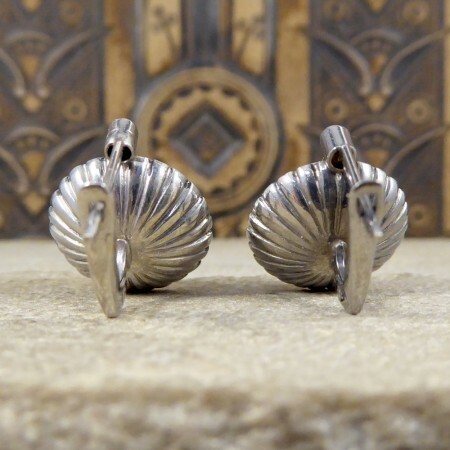 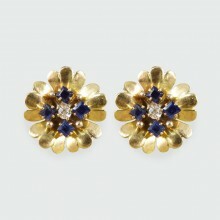 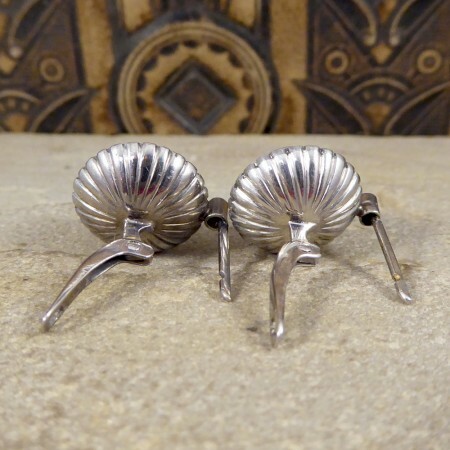 With an omega clip back, these earrings are crafted from 18ct White Gold and are held into the ear very securely.